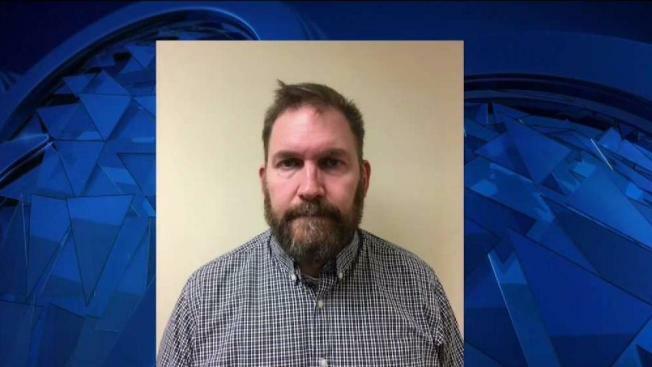 David Pook, a former teacher at St. Paul's School in New Hampshire, faces charges of witness tampering and conspiracy as the sexual misconduct investigation at the school continues. The head of a New Hampshire prep school's board of trustees says a teacher who was let go in 2008 for "repeated boundary crossings" involving students should have been dismissed earlier and shouldn't have been given a favorable recommendation. A letter from Archibald Cox to the St. Paul's School community said Thursday that David Pook's departure was "overdue and badly handled." The 47-year-old Pook was charged last week with witness tampering and conspiring to commit perjury following a grand jury investigation into misconduct allegations at St. Paul's. Cox also addressed the release of former student Chessy Prout's book, saying the Concord school is "confronting and transforming an unfortunate legacy of hierarchy, privilege, and abuse." Graduate Owen Labrie was convicted of assaulting Prout as part of a sexual conquest game. He is appealing the conviction.